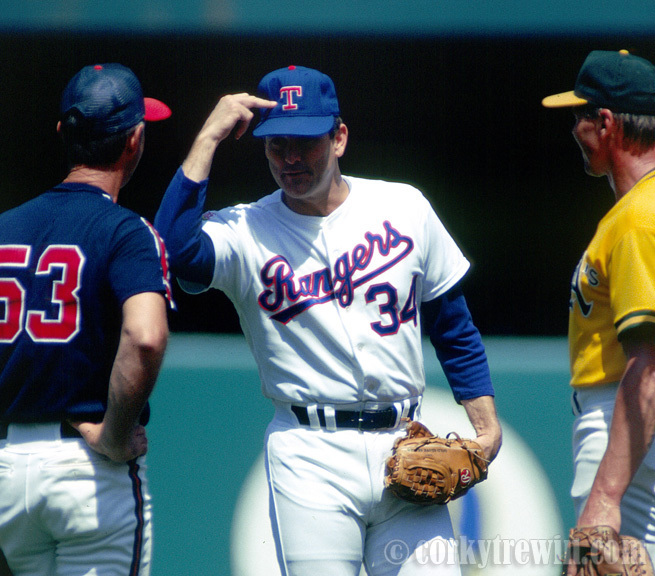 Texas pitcher Nolan Ryan points to his Texas “T” reminding his 1989 MLB All-Star team mates not to mess with Texas. The National League did not mess with Ryan either, as he was the winning pitcher in a 5-3 American League win. This entry was posted in MLB, Sports, Texas Rangers and tagged All-Stars, Nolan Ryan.